We looked at the top 10 Antifungal Creams and dug through the reviews from 88 of the most popular review sites including Healthy Top 10s, Nicer Shoes, Gym Gear Info, Beauty Best Care, Very Well Health, My Best Reviews and more. The result is a ranking of the best Antifungal Creams. Our experts reviewed the top 10 Antifungal Creams and also dug through the reviews from 88 of the most popular review sites including Healthy Top 10s, Nicer Shoes, Gym Gear Info, Beauty Best Care, Very Well Health, My Best Reviews and more. The result is a ranking of the best of the best Antifungal Creams. This topical ointment earns our top spot for its unique waterproof formula that helps keep it in place, even during workouts. From the moment it's applied, it provides soothing relief with an effective dose of 2% Miconazole. Zinc oxide also helps to keep the affected area dry which helps prevent further infection. You'll pay a few extra dollars, but it's a proven formula that's worth the investment. DWYM Beauty and Personal Care Experts plus BestReviews, Feet Remedies, Beauty Best Care. Along with user reviews from Amazon and Walmart.
" Stands out for its waterproof formula that contains 2% Miconazole to treat fungus and zinc oxide to sooth skin. Works on a variety of fungal conditions and soothes skin." "Intense scent. Medically harmful sometimes"
Globe's 2% Miconazole Antifungal Cream delivers a powerful defense against all types of fungal skin infections. Users were impressed with the high 2% strength of miconazole in this cream along with its reasonable price tag. Some users noticed an unpleasant smell with this product and found that it had a thinner consistency than other creams, but that wasn't a big issue for most people. Overall, this medicated cream gets rave reviews for its versatility in treating conditions and its effectiveness with an affordable price. DWYM Beauty and Personal Care Experts plus BestReviews, Max Fitness +, Straight From The Doc, Ormino, Healthy Top 10s. Along with user reviews from Amazon and Walmart.
" Made with 2% Miconazole Nitrate in a formula that controls itching and discomfort while treating a variety of fungal skin issues, such as jock itch and athletes' foot." 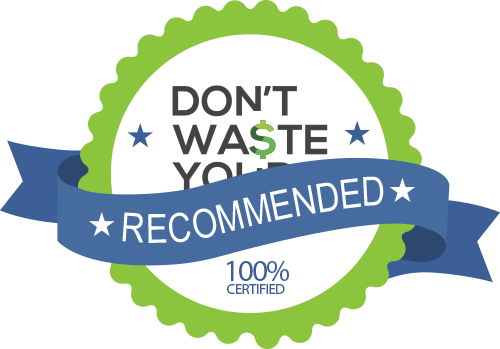 "It is slightly more expensive than other antifungals like clotrimazole"
A leader in fighting stubborn athlete's foot, Lamisil is recognized for proving to cure most cases within one week of treatment. It contains terbinafine as its active ingredient, which has been shown as one of the most effective medicines to fight the infection. Some customers noted the relatively expensive price and found that it may not be as effective for other types of fungal infections. Most thought this cream was worth the money though, and found that it provided a quick cure for athlete's foot. DWYM Beauty and Personal Care Experts plus BestReviews, Nicer Shoes. Along with user reviews from Amazon.
" Contains 1% Terbinafine Hydrochloride that's highly effective for treating athletes' feet. Begins working fast." "Dries skin too much, bad smelling"
If you're searching for an anti-fungal cream with an affordable price, look no further than Family Care's Clotrimazole Cream. This can be used to tackle a wide range of fungal infections while helping to reduce inflammation and soothe itchy skin. Some users have commented that the 1% dose of clotrimazole requires more application over a longer period of time, and it may not be the best choice for more severe infections. However, most customers found this to be an effective treatment at a great deal. DWYM Beauty and Personal Care Experts plus BestReviews, faveable, Healthy Top 10s, Nicer Shoes, Home Gymr, Beauty Best Care and 1 more. Along with user reviews from Amazon.
" With 1% Clotrimazole – one of the most effective anti-fungal medications, it tackles problem areas and soothes itching. 5 tubes for one price also makes this pick an awesome deal." "Generic brand, and it takes a bit longer to treat than some products." We identified the majority of the antifungal creams available to purchase. Reviews from our DWYM category experts and analysis of some of the most respected sources including: Healthy Top 10s, Nicer Shoes, Gym Gear Info, Beauty Best Care, Very Well Health. Parents will find this a handy and safe solution for diaper rash. Young adults can get rid of their jock itch with its regular application. As it’s also deemed as the best antifungal cream for balanitis, it’s also very useful in treating yeast infections. This cream is an original strength medicine. It is great choice for people to try if they suffer from skin sensitiveties. 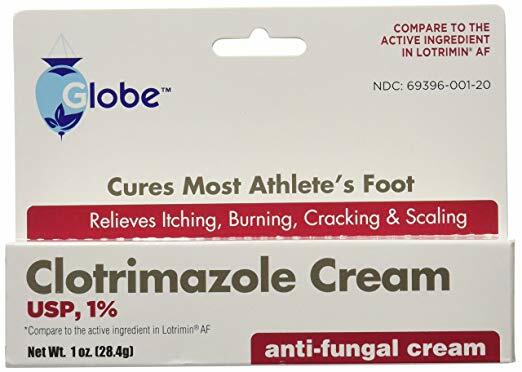 Conveniently named after it’s active ingredient, a powerful anti-fungal compound, Clotrimazole is simply a no-frills Athlete’s foot cream that works the way it should. Nothing more, nothing less. It prevents and heals most fungal ailments within 2 to 4 weeks. It eradicated ringworms, jock itch, and athlete’s foot. It comes at an affordable price. Three tubes of 10z each cost very low. Generic brand, and it takes a bit longer to treat than some products. You should not apply the cream on your scalp. Fungi are some of the most resilient organisms in the world and can live in the air, soil and water. Unfortunately, harmful fungi can also live on the human body and cause some common infections. Left untreated, these infections can often worsen and remain for a prolonged period of time. The good news is there are currently a variety of different products available to help combat these unwanted intruders. The most common types of fungal infections are tinea pedis (commonly known as athlete’s foot), tinea corporis (ringworm of the body) and tinea cruris (jock itch). Yeast infections caused by the Candida fungi are also common. Regardless of where on the body a particular fungal infection might flare up, the symptoms are generally very similar. Redness, burning and cracking of the skin, intense itching and inflamed rashes can all signal an infection. Fungi grow best in warm, damp environments; therefore, it’s important to keep infected areas as dry as possible to help combat fungi and prevent reoccurrence. This can be a challenge though, especially for those with an active lifestyle. 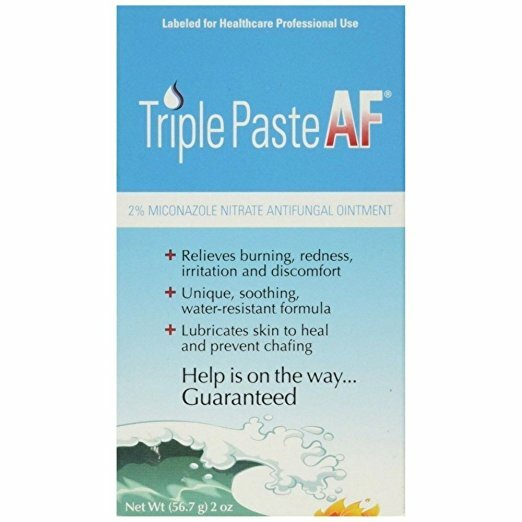 If this is a concern, take a look at Triple Paste’s AF Antifungal Nitrate Medicated Ointment. Their waterproof formula helps the cream to stay in place and prevents sweat from dissolving it, which can be a big help if you want to apply it before a workout. Also be aware that certain medications can be more effective for treating particular types of fungi. For example, studies have shown that terbinafine is highly effective for treating athlete’s foot. 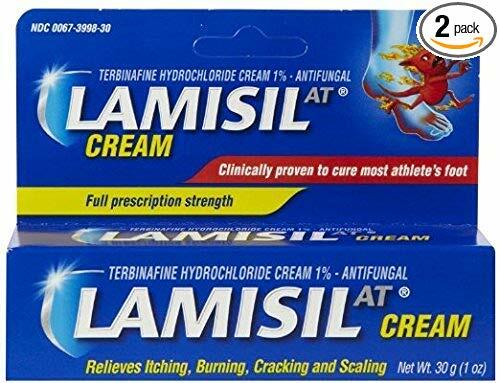 Lamisil’s AT Cream was specifically designed to treat athlete’s foot by including terbinafine as an active ingredient. Doctors recommend that you wash and clean areas affected by fungal infections regularly. 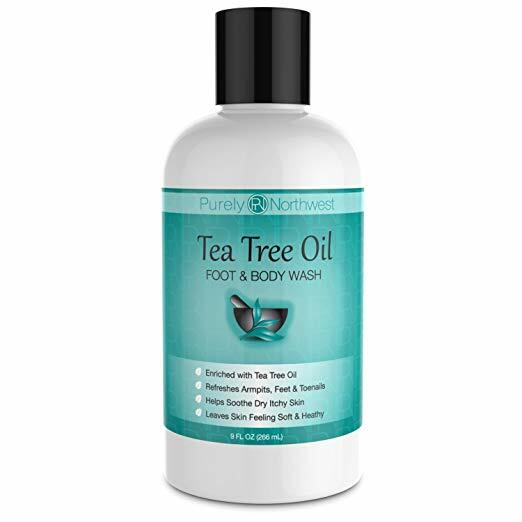 Some products, like Purely Northwest’s Antifungal Tea Tree Oil Bodywash, tap into the power of natural ingredients that can help soothe skin. Used in conjunction with topical creams, this body wash can provide an extra level of defense against the infection. Make sure to avoid tight-fitting socks and footwear, wash regularly, keep the affected area as dry as possible and use sandals in communal areas such as gym showers and locker rooms. If the infection continues to spread after using these treatments for two weeks, it’s best to visit your doctor. A stronger oral medication may be needed in these cases. One last point: don’t let the infection stress you out! Stress can negatively impact your immune system, which you’ll want at full force. With the help of effective topical treatments and some preventative measures, most fungal skin infections can be cured fairly quickly. If you are currently suffering from a fungal skin infection, consider yourself somewhat fortunate. Up until the late 1960s, there were few drugs available to fight fungal infections. From the period of 1970 to 1990, tremendous advancements were made in antifungal drugs that are both safe and effective. Today, there is a wide range of oral and topical medicines that are available. Have you been on a prescribed course of antibiotics lately? Antibiotics can sometimes produce the unwanted result of wiping out certain beneficial bacteria in your system. These bacteria help keep your system in balance and can prevent the spread of unwanted organisms like fungi. If you are currently taking antibiotics and you’ve recently developed a fungal infection, talk to your doctor about possible changes in medication. Diaper rash is often caused by a fungal infection and can be treated effectively and safely using clotrimazole. 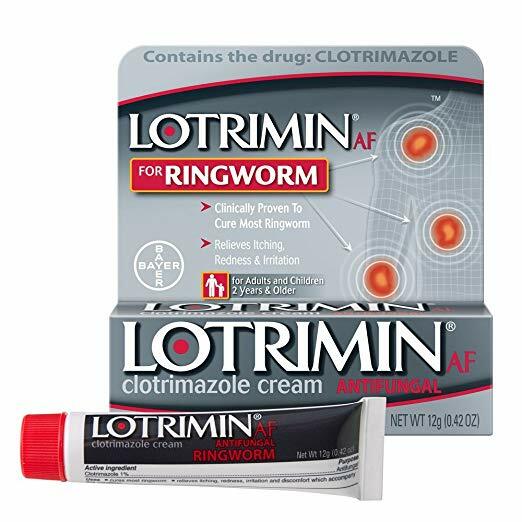 This is the active ingredient in Globe Clotrimazole Antifungal Cream, Family Care Clotrimazole Anti Fungal Cream and Lotrimin AF Ringworm Cream. The fungus that causes ringworm is highly contagious, so be careful with items such as towels, clothes or hair brushes. If, for example, a brush was used when scalp ringworm was still active, it could cause a new breakout. During the course of treating a fungal infection, it’s best not to reuse such items without sterilizing and cleaning them first. In addition to keeping the above items clean, it’s a smart idea to clean areas like bathtubs, showers, bathroom floors, sinks and counters with a solution of chlorine bleach and water. Chlorine bleach is a disinfectant that kills mold. This will again lessen the chance for reoccurrence of an infection, which is the ultimate goal. Clip toenails short to prevent possible infection, but not too short. A good rule of thumb (or toe in this case) is to cut the nail straight across so the edge reaches the tip of your toe. Be careful to read the ingredients list on any lotion or cream to check for potential allergens. If you are unsure which topical medicine is right for you, ask your pharmacist for advice. The chance for contracting a fungal infection increases as the temperature rises. Fungi grow more rapidly in warmer environments, so make sure to limit the amount of time spent lounging in wet bathing suits or workout clothes. 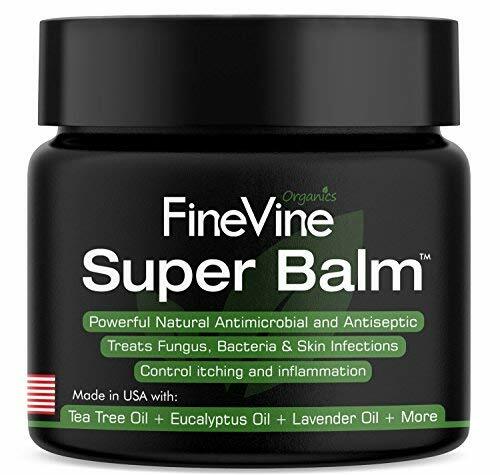 If you are looking for an all-natural balm for treatment, check out FineVine’s Super Balm and Puriya’s Antifungal Cream Ointment. Both of these products offer ingredients such as tea tree oil, eucalyptus oil and lavender oil. These all-natural products can also be excellent options for ongoing skin care routines. Consider eating certain foods that can be effective in boosting your immune system. Fresh fruits, leafy green vegetables, garlic and turmeric are just a few of the foods that have been shown to give us an immune boost. A glass of cranberry juice per day or a solution of apple cider vinegar and water can also help due to their natural anti-fungal properties. For the Antifungal Cream category, we analyzed 88 of the most popular reviews including reviews from Healthy Top 10s, Nicer Shoes, Gym Gear Info, Beauty Best Care, Very Well Health, My Best Reviews and more. The result is a ranking of the best Antifungal Creams.